Hours: 24 hours/week. Hours are flexible according to work assignment and project needs. Some nights and weekends required. We are a member-funded foundation that supports the creation of a just society through fundraising, grantmaking, and member involvement. 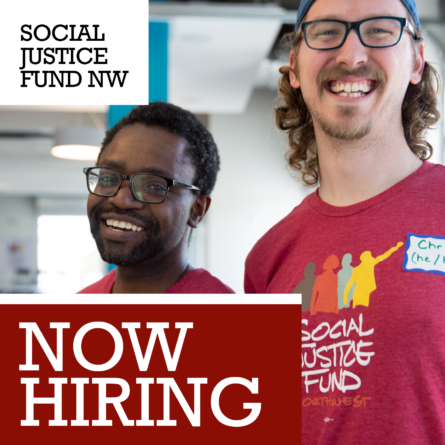 The foundation provides essential resources to organizations in Idaho, Montana, Oregon, Washington, and Wyoming to strengthen grassroots efforts in the broad movement for progressive, systemic social change. Our Giving Projects engage members in a deep process of learning about race, class, fundraising and social change. Participating members organize their communities, raise money to support community organizing and through a democratic, participatory process, determine which organizations to fund. 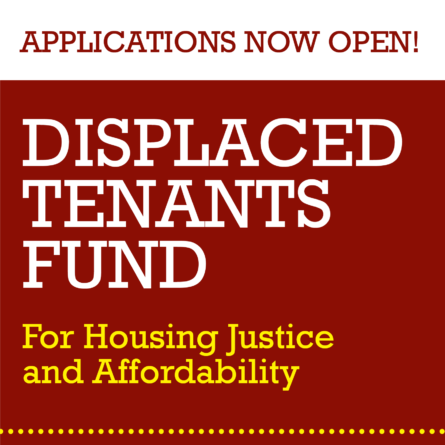 To apply, please e-mail a cover letter and resume to Magan Do at magan@socialjusticefund.org. Please include "Program Support Internship" in the subject line of your e-mail. 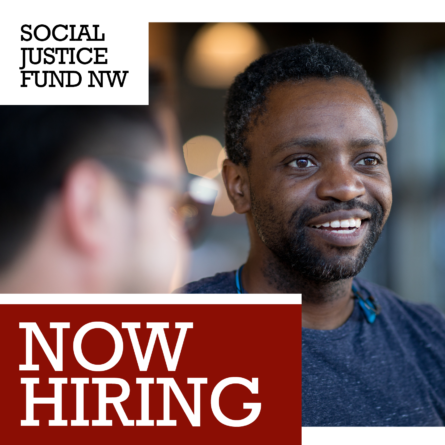 If you have any questions, please contact Magan at (206) 624-4081 ext 107 or magan@socialjusticefund.org.